Saint Mary’s University is pleased to announce that Ray MacNeil has joined the university as our new CLARI Network Manager. Ray is now finishing his second-week on campus and is a welcome addition to Saint Mary’s and the CLARI network. 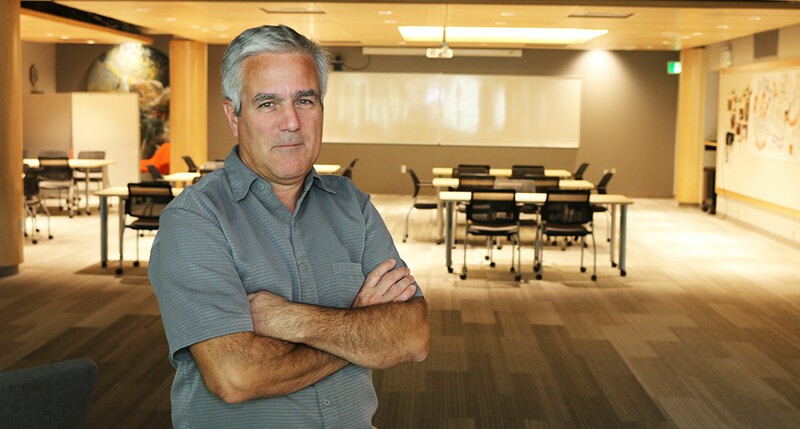 A twenty-six-year veteran of the Nova Scotia public service, Ray has spent the last ten years of his career exploring advances in the complexity sciences and their application to improved public services. His work in this area has resulted in consulting requests with a number of other governments and institutions. In 2016, Ray was honored with the Nova Scotia Public Servant of the Year Award by the Springtide Collective. In that same year, he retired from the public service and created Organizational Dynamics, a consulting firm dedicated to complexity informed management practices. Ray has remained a regular presenter on issues related to the management and measurement of public services. CLARI is a cross-province, multi-post-secondary education partnership offering academic and research expertise, designated spaces and communications technology to support Nova Scotia communities in applying stakeholder collaboration techniques and action research toward addressing social and economic challenges. CLARI’s hub-and-spoke style network spans the province, combining the talents and resources of its six founding partner universities and the Nova Scotia Community College’s 13 campuses. Through CLARI, partners can assist communities in all parts of the province in developing social and economic improvement projects while providing enhanced learning opportunities for students.